How does one transform a market? Who comprises a market? What does market transformation even mean? If there’s anyone to turn to answer these questions when it comes to the energy efficiency market, it’s the Institute for Market Transformation (IMT), a D.C. based non-profit that works to develop the market for energy efficiency in the building sector. These grand questions have been on my mind since I’ve been interning for IMT. IMT’s vision is a world in which buildings are efficiently and positively transforming our physical, social, and economic well-being – no small ask. The building sector accounts for about 40% of annual energy consumption in the United States and is comprised of vast array of stakeholders, ranging from building owners, to tenants, investors, cities, and utilities. Engaging with these actors to catalyze widespread and sustained demand for high-performing buildings means thinking strategically, communicating well internally, being flexible enough to able to frame and reframe your position while staying true to your mission, and being able to speak the language of your partners. IMT has positioned itself to succeed by internalizing many different perspectives under its umbrella; IMT’s staff is comprised of not just sustainability policy-wonks, but experts in real estate, utility, building codes, and business development (along with plenty of efficiency experts). Thanks to the Bard Center for Environmental Policy Master’s program, I have the chance to work with this diverse group of people in their efforts to impact the places we all live and work. As a group of only about 25 people, it’s needless to say that there is plenty of work to go around. The organization is split into three primary teams: the private and public sector engagement teams and the technical and policy analysis team. Although my work is primarily with the private sector team, I am engaged on projects across the board. The private-sector engagement team has been pushing to further develop its Green Lease Leaders (GLL) program and the Small Business Energy Initiative (SBEI) program. GLL aims to promote and recognize landlords and tenants who are adopting progressive lease structures that encourage investments in energy efficiency by making sure the investor efficiency receives the financial return from its benefits. I’ve contributed by synthesizing internal information and tracking data on existing and potential participants to optimize program expansion. SBEI has built partnerships with a number of chambers of commerce and chamber-like organizations to disseminate information to hard to reach small businesses. This partnership focuses on getting targeted information and technical resources to small businesses to demonstrate that energy efficiency is an economic win. I recently drafted the materials for SBEI’s Q3 newsletter, and have provided some program support to IMT’s partners. Additionally, I’ve updated energy efficiency (internal and external) financing guides and created a slide deck to train multifamily tenant building operators on simple, cost effective efficiency measures they can implement in between tenants. With the public-sector engagement team, I’ve been able to expand on my recent work at Resources for the Future (RFF), where I researched how utility planning views and values demand side resources, which includes EE. Using a complementary perspective to my previous work, I investigated how utilities gauge the success of their EE marketing efforts, so that IMT can direct its work in a way that will be the most impactful to a utility’s metrics. With the policy analysis team, I’m aiming to generate energy impact estimates for a policy proposed by the city of San Jose. I’m also a part of new project that is developing novel recommendations for city sustainability and resilience officers to optimize the combination of energy efficiency and renewable energy as cities strive to meet a carbon or energy goal by mid-century. That’s a lot for being on the job for five weeks (and only four days a week). My personal development during the intensive year of coursework at Bard has been key in enabling me to succeed at such a dynamic and demand workplace. Six graduate level classes per semester, sometimes in fields I had no prior experience in – like climate science – developed the skills I need to learn quickly and effectively and switch gears on a dime without missing a beat. The energy expertise that came from the deep dives of my first-year literature review at Bard and during my focused research at RFF then gave me the knowledge base needed to translate those skills into useful products. The last year of hard work has all been coming to a fruition at IMT. Nothing short of a personal and professional transformation can equip you to work on a market transformation. 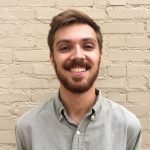 At Bard's Center for Environmental Policy, Jake uses his interdisciplinary education and diverse work background to analyze a wide range of environmental and energy focused policy solutions. Glad to hear things are going well Jake! I wonder what methods would specifically encourage landowners or tenants to uptake energy efficiency measures through a lease, it’s definitely something I hadn’t thought about before! Sounds like you have a really diverse team at IMT, glad to know BCEP prepared you well. “Flexibility + Drive = Productivity” – I totally agree with you on this equation. There is so much to be done in order to ensure engagement of both private and public sector on the issue. You mentioned that you gained a deep understanding of energy policies and EE as you were writing your literature review. I was happy to hear that because I am also writing my literature review on regime resistance to renewable energy from actors such as utility. For that reason, I am looking forward to read more on how IMT directs its work in a way that is impactful to a utility’s metrics.